Summer for the most part is definitely over, but we have some days that the warmer weather is still lingering. 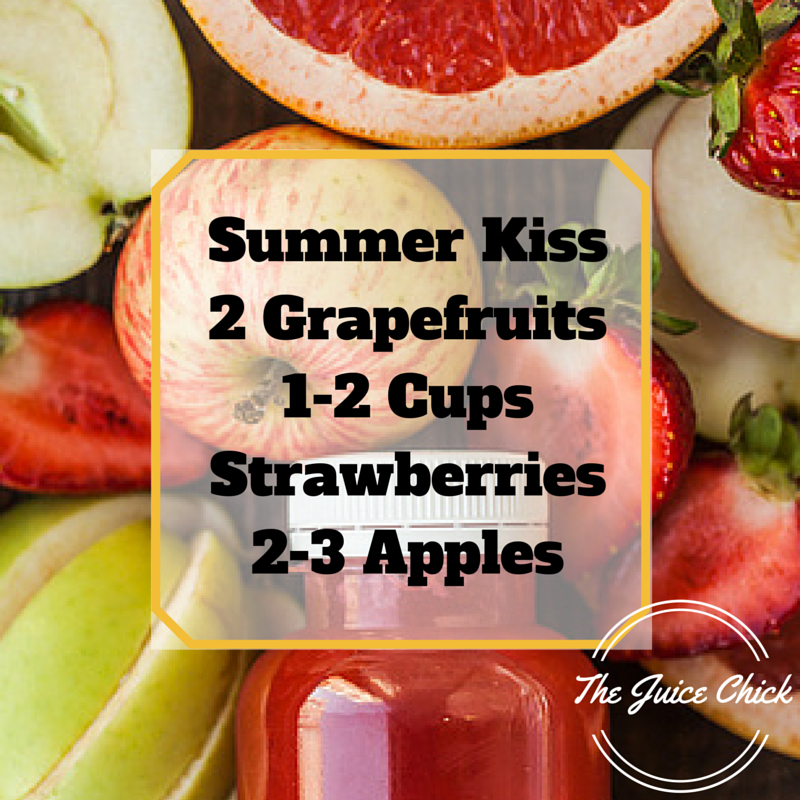 Kisses of summer so to speak:) today’s recipe brings in some of my favorite fruits from the summer but are available year round paired with fall apples Golden Delicious or Honeycrisp. A sweet tart recipe so be sure you pick your strawberries carefully. Run strawberries between the apples to get the most juice and you can juice the grapefruit in a citrus juicer if desired. Either way this recipe is delicious and a great detox blend. With October wrapping up this weekend, what are your goals for the coming month? I’d love to hear from you, feel free to comment below.